Neurofeedback has shown positive results of helping those with reading and learning disorders. Learning disabilities are estimated to affect 15% of the student population. Approximately 63% of these children have specific learning disabilities or speech and language problems without any physical disability. A diverse number of studies have found irregular patterns of neuron development and activity in specific regions of the brain in dyslexic children. Current interventions have largely have been unsuccessful in obtaining significant and meaningful results. Many researchers have concluded that ‘‘despite the widespread inclusion of multisensory techniques in remedial programs for dyslexic students… there was little empirical evidence to support the “theoretical premises” or show significant response rates. Although research on the effectiveness of neurofeedback for learning disabilities is in its early stages, the few studies completed show that neurofeedback can be useful in several types of learning disabilities including reading and math. Instead of helping a person compensate for, or work around, their learning difficulties, neurofeedback actually improves the ability to learn by training the areas of the brain relevant to math, reading, auditory and visual processing and execution. 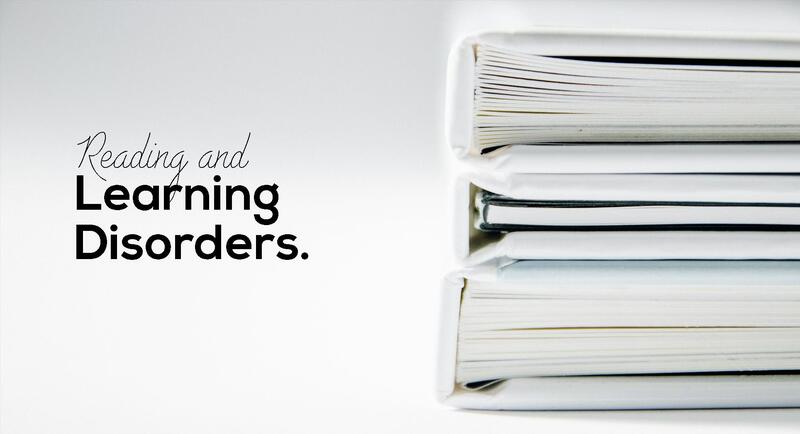 Neurofeedback should not replace essential or beneficial support in overcoming learning disorders because it will speed progress in learning objectives when applied at the same time. Neurofeedback for learning disabilities is often especially helpful with a history of head injuries and when other difficulties including frustration, irritability, anger, anxiety, and mood are also present. In addition we find that children with sensory, autism, or behavioral problems often have undiagnosed learning disorders. Learning cannot occur optimally until these initial layers of brain dysregulation are cleared. Neurofeedback has demonstrated great ability to clear these lower layers with eventual improvement in symptoms and disabilities of higher functioning. Self-regulation of inter-hemispheric visual cortex balance through real-time fMRI neurofeedback training. Neuroimage. 2014 Oct 15;100:1-14. doi: 10.1016/j.neuroimage.2014.05.072. Epub 2014 Jun 4. Recent advances in neurofeedback based on real-time functional magnetic resonance imaging (fMRI) allow for learning to control spatially localized brain activity in the range of millimeters across the entire brain. Real-time fMRI neurofeedback studies have demonstrated the feasibility of self-regulating activation in specific areas that are involved in a variety of functions, such as perception, motor control, language, and emotional processing. In most of these previous studies, participants trained to control activity within one region of interest (ROI). In the present study, we extended the neurofeedback approach by now training healthy participants to control the interhemispheric balance between their left and right visual cortices. This was accomplished by providing feedback based on the difference in activity between a target visual ROI and the corresponding homologue region in the opposite hemisphere. Eight out of 14 participants learned to control the differential feedback signal over the course of 3 neurofeedback training sessions spread over 3 days, i.e., they produced consistent increases in the visual target ROI relative to the opposite visual cortex. Those who learned to control the differential feedback signal were subsequently also able to exert that control in the absence of neurofeedback. Such learning to voluntarily control the balance between cortical areas of the two hemispheres might offer promising rehabilitation approaches for neurological or psychiatric conditions associated with pathological asymmetries in brain activity patterns, such as hemispatial neglect, dyslexia, or mood disorders. Intracerebral functional connectivity-guided neurofeedback as a putative rehabilitative intervention for ameliorating auditory-related dysfunctions. Front Psychol. 2014 Oct 29;5:1227. doi: 10.3389/fpsyg.2014.01227. eCollection 2014. Electroencephalography (EEG) constitutes one of the most eligible candidates for neurofeedback applications, principally due to its excellent temporal resolution best reflecting the natural dynamics of brain processes. 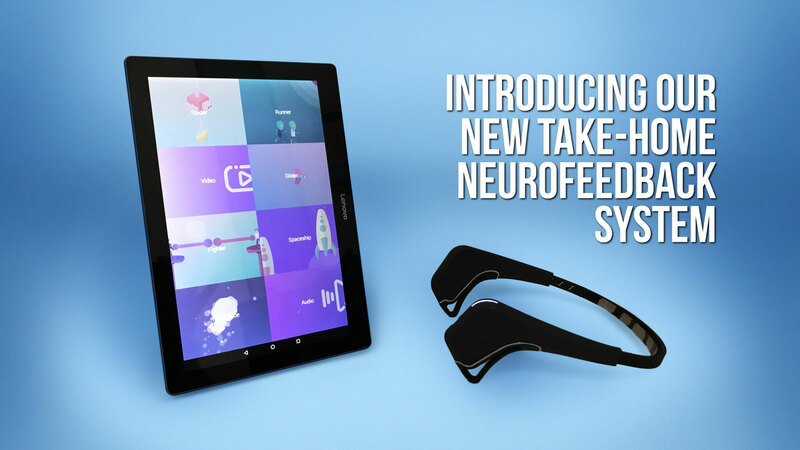 In addition, EEG is easy to use and provides the opportunity for mobile applications. In the present opinion article, we pinpoint the advantages of using intracerebral functional connectivity (IFC) instead of quantitative scalp EEG for interventional applications. In fact, due to the convergence of multiple signals originating from different spatial locations and electrophysiological interactions, miscellaneous scalp signals are too unspecific for therapeutic neurofeedback applications. Otherwise, IFC opens novel perspectives for influencing brain activity in specific dysfunctional small- and large-scale neuronal networks with a reasonable spatial resolution. 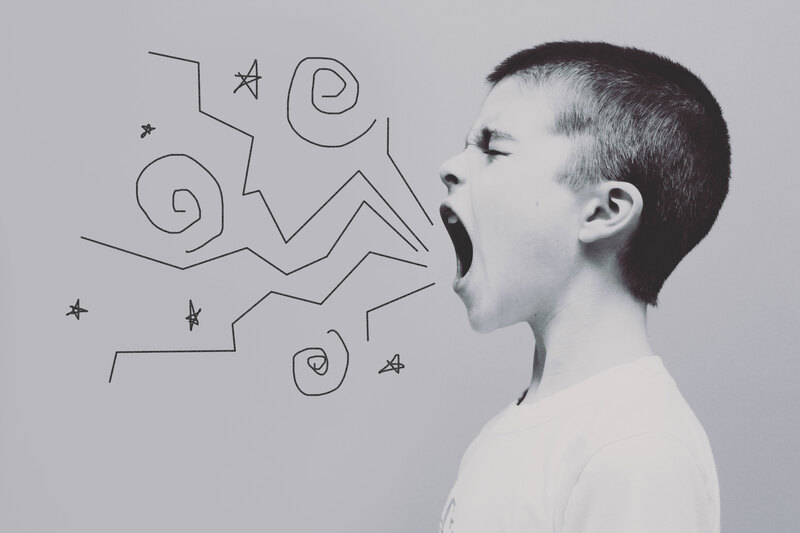 In the present article, we propose concrete interventional IFC applications that may be used to ameliorate auditory-related dysfunctions such as developmental dyslexia. Clin EEG Neurosci. 2012 Oct;43(4):315-22. doi: 10.1177/1550059412451880. Neurofeedback training (NFT) is an effective intervention in regulating electroencephalogram (EEG) abnormalities leading to improvements in behavioral deficits, which exist in children with reading disabilities. 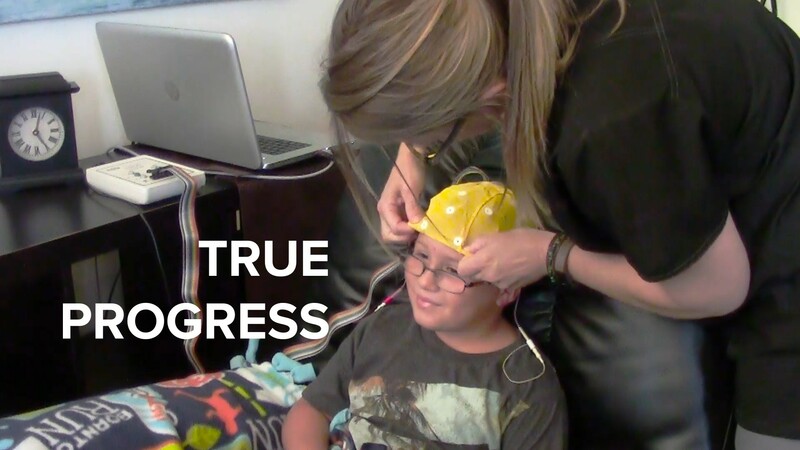 This single-subject study explores our evaluation of the improvements in the reading ability and phonological awareness deficit, as well as the changes in the EEG in children with reading disabilities as a result of NFT. Participants were 6 children, aged between 8 and 10 years, who completed twenty 30-minute sessions of NFT and follow-up measurement sessions 2 months subsequent to the completion of the training sessions. The results showed significant improvement in reading and phonological awareness skills. Furthermore, EEG analysis did not show notable changes in the power of the targeted bands (delta, theta, and beta), rather there was normalization of coherence of the theta band at T3-T4, delta band at Cz-Fz, and beta band at Cz-Fz, Cz-Pz, and Cz-C4. These significant changes in coherence possibly indicate integration of sensory and motor areas that explains the improvements in reading skills and phonological awareness. Post WISC-R and TOVA improvement with QEEG guided neurofeedback training in mentally retarded: a clinical case series of behavioral problems. Clin EEG Neurosci. 2010 Jan;41(1):32-41. According to the DSM-IV, Mental Retardation is significantly sub-average general intellectual functioning accompanied by significant limitations in adaptive functioning in at least two of the following skill areas: communication, self-care, home living, social/interpersonal skills, use of community resources, self-direction, functional academic skills, work, leisure, health and safety. In pilot work, we have seen positive clinical effects of Neurofeedback (NF) applied to children with Trisomy 21 (Down Syndrome) and other forms of mental retardation. Given that many clinicians use NF in Attention Deficit Hyperactivity Disorder and Generalized Learning Disability cases, we studied the outcomes of a clinical case series using Quantitative EEG (QEEG) guided NF in the treatment of mental retardation. All 23 subjects received NF training. The QEEG data for most subjects had increased theta, alpha, and coherence abnormalities. A few showed increased delta over the cortex. Some of the subjects were very poor in reading and some had illegible handwriting, and most subjects had academic failures, impulsive behavior, and very poor attention, concentration, memory problems, and social skills. This case series shows the impact of QEEG-guided NF training on these clients’ clinical outcomes. Fourteen out of 23 subjects formerly took medications without any improvement. Twenty-three subjects ranging from 7-16 years old attending private learning centers were previously diagnosed with mental retardation (severity of degree: from moderate to mild) at various university hospitals. Evaluation measures included QEEG analysis, WISC-R (Wechsler Intelligence Scale for Children-Revised) IQ test, TOVA (Test of Variables of Attention) test, and DPC-P (Developmental Behaviour Checklist) were filled out by the parents. NF trainings were performed by Lexicor Biolex software. NX-Link was the commercial software reference database used to target the treatment protocols, along with the clinical judgment of the first author. QEEG signals were sampled at 128 samples per second per channel and electrodes were placed according to the International 10-20 system. Between 80 and 160 NF training sessions were completed, depending on the case. None of the subjects received any special education during NF treatment. Two subjects with the etiology of epilepsy were taking medication, and the other 21 subjects were medication-free at the baseline. Twenty-two out of 23 patients who received NF training showed clinical improvement according to the DPC-P with QEEG reports. Nineteen out of 23 patients showed significant improvement on the WISC-R, and the TOVA. For the WISC-R test, 2 showed decline on total IQ due to the decline on some of the subtests, 2 showed no improvement on total IQ although improvement was seen on some of the subtests, however even these cases showed improvement on QEEG and DPC-P. This study provides the first evidence for positive effects of NF treatment in mental retardation. The results of this study encourage further research. BACKGROUND: Development of neurofeedback was preceded by development of classical and quantitative EEG, construction of computer devices, programmes and individual medical protocols. METHODS: The basic rule of this method is to achieve effective change of rhythm and power of brain bioelectric activity based on knowledge of normal activity and identification of abnormalities of present activity. Various types of disturbed activity occur in many syndromes and brain development disorders. Training process is characterized by repetitive local activation of chosen brain structures as well as by general activation. Moreover, this method enables monitoring of emotional and social development. In accordance with disorders pathogenesis consecutive technical modules of this method are being introduced. RESULTS: Neurofeedback has been used in the treatment of post traumatic stress disorder, sequels of stroke and head trauma, emotional, anxiety disorders and depression. Good results of this neurotherapy have been also found in children with ADHD/ ADD, developmental dyslexia, tics and Tourette syndrome, learning difficulties and developmental disturbances and acquired speech disorders. It has been also used with a success in treatment of headaches, epilepsy and chosen disturbances in cerebral palsy. SUMMARY: Neurofeedback as a method of instrumental therapy of CSN is now undergoing thorough evaluation. New requirements that place further demands on the quantitative bioelectric activity estimation when qualification for the treatment is performed and on the elaboration of therapy results as a material for future meta analysis. Improvements in spelling after QEEG-based neurofeedback in dyslexia: a randomized controlled treatment study. Appl Psychophysiol Biofeedback. 2010 Mar;35(1):5-11. Epub 2009 Aug 27.